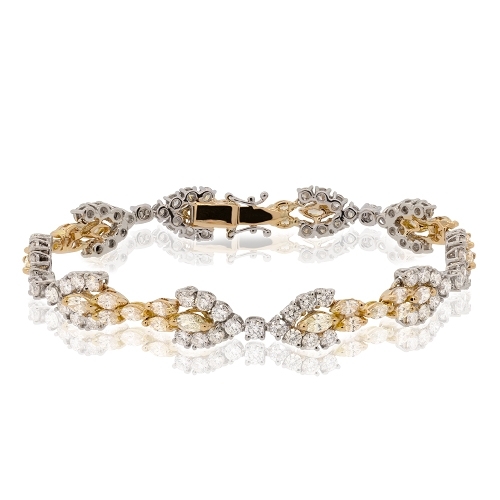 Italian made fancy yellow & white diamond link bracelet set in 18k rose & white gold. Diamonds approx. 7.39ct. Bracelet 7"